It's not hard to fit in when you're with true friends. HOI!! WE GOTA BE NICE!! LIK STUPIDFOX HERE!! 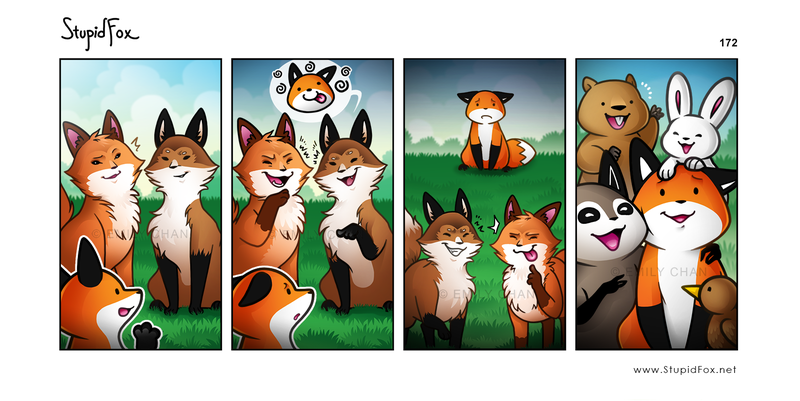 Those other foxes look weird, not stupid fox! Hey! Whoever is reading this I hope you have a pawsome day! Don't let anyone get your hopes down. You're just as magical as a flying unifox! Share the joy and make this world a better place! STOP making fun of my friend!